8th grade Molly K. wins scholarship from her band program at Anderson MS after playing a solo beautifully! The scholarship will give her money to continue her music studies through high school. Congrats! Student Owen C. (Grosse Pointe South HS), wins a spot in Detroit Symphony's Civic Youth Ensemble (CYE) for the 2018-2019 season. Huge congrats!!! Congrats to student Lacy R. for being accepted into the Dearborn Youth Symphony for next school year! High school sophomore, Owen C., accepted to the Interlochen Oboe Institute for this summer. 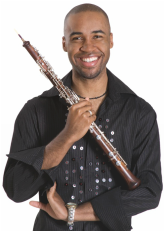 Owen will study oboe excerpts, solos & reed making with Martin Schuring (Arizona State Unvierisity Oboe Professor) & Liz Koch (Principal Oboe of Atlanta Symphony) for an oboe intensive seminar! Lots of talent to be learned from at Interlochen!!! 5th grade student Jacob S. (Brownell Elem) was selected to perform with the Middle School Honor Band in Grosse Pointe! !